If your enclosed back porch has a major water leak in the roof that penetrated its wooden frame and support beams, check the roof's wooden structures for termites. One particular termite species called dampwood live and breed in wet wood. The termites generally invade the Pacific Coast but can also live in some areas of the Southwest. If you live in these locations, your porch's damaged roof and support structures may be the perfect home for dampwood termites. Here's how dampwood termites may affect your leaky enclosed back porch and support structures and what a roofing contractor may do to repair it. How Can Dampwood Termites Affect Your Leaky Porch? Dampwood termites can very destructive to structures made with lumber, including roof decks. Dampwood termites consume wood across the grain instead of along it, which weakens or breaks the fibers that hold the wood together. The damage caused by dampwood termites isn't always easy to spot if the insects construct tunnels inside the wood. However, you might notice some pellets, or insect feces, on the flooring or along the wooden support beams of your porch to alert you to the termites' presence. Damage that occurs in the support structures of the porch can be dangerous, especially in the load-bearing columns. 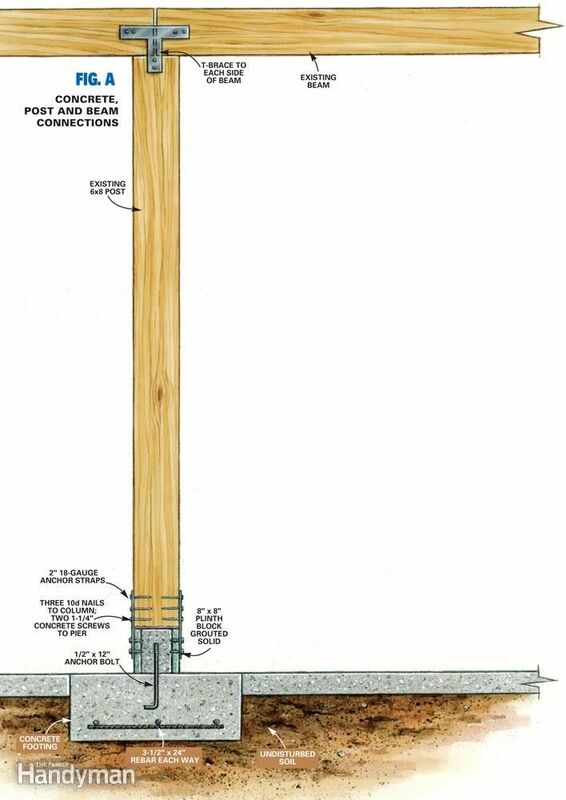 Load-bearing columns run vertically in the porch's frame. Because of their positions in the porch's frame, load-bearing columns must be strong and sound enough to hold up the roof's weight, or else the roof might collapse. One of the things you may do to see if there's damage in the columns is look for problems in the entrances, windows and ceiling of the porch. This technique is often used to locate hidden structural damages in the home's foundation, but you may use it to examine your porch. For instance, there may be small cracks in the wooden surfaces of the load-bearing beams. The doors leading in and out of the porch may appear lopsided, or you might have problems opening and closing the doors because they stick. The beams themselves might move out of place and cause issues with how the roof appears. The roof of the porch may appear lower on one side than it does on the other side. If your examination reveal termites and structural damage to the porch or its structures, contact a roofing contractor for help. What Can a Roofer do to Repair Your Porch? A roofing contractor may recommend that you tent or treat your home for termites before making any repairs to the porch and roof. Even if the contractor repairs the damages, the termites may continue to be a problem if you don't take steps to get rid of them. After you get rid of the pests, the contractor may proceed with the repairs. The first step in the porch's repairs is to assess the damages in it. If the porch's roof and support structures have significant damage, you may need to replace them. Significant damage may include wood that contains extensive rot inside it. If this is the case, you may wish to replace the structures with rot-resistant wood, such as cypress. You can discuss the type of wood you want to use with a roofer during the inspection. You may also choose to use roofing shingles and an underlayment that resists moisture and water. An underlayment forms a protective barrier or membrane between the porch's shingles and roof deck. If water does manage to pool beneath the shingles, the underlayment may keep the water from penetrating the roof deck and support beams. For more information about repairing your termite-damaged porch's roof and support structures, contact a roofing specialist, such as those at Select Exteriors, today.